Are you looking for the Top 5 Best Under Cabinet Range Hoods of 2018? If you're looking for this year's best under cabinet range hoods, you've come to the right place. It's easy to get overwhelmed by the sheer amount of under cabinet range hoods available on the market, especially since they all look somewhat similar in shape and size. Since modern range hoods are an important and very visible part of your kitchen, you'll want to pick one which suits your particular situation best. 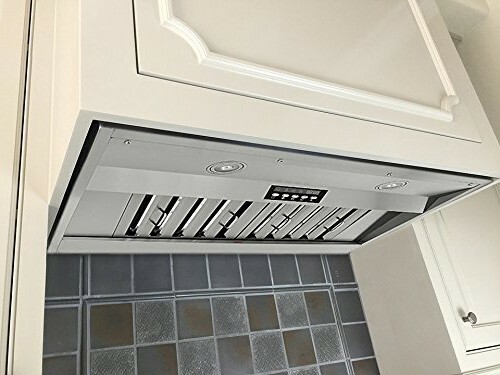 Obviously, you don't want to purchase one blindly, only to find out that instead of buying the best under cabinet range hood, you've picked the very worst one. Well, no worries. We at Rangehoodguide.com have got you covered. We've put together a list of the best under cabinet range hoods of 2018. Enjoy! First of all, this range hood looks magnificent. 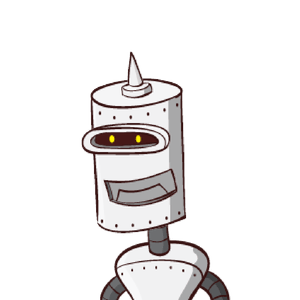 Its thick stainless steel finish makes it look like a very solid piece of machinery. Combined with the blue tone of the LEDs, it gives off an almost commercial-grade like feeling. 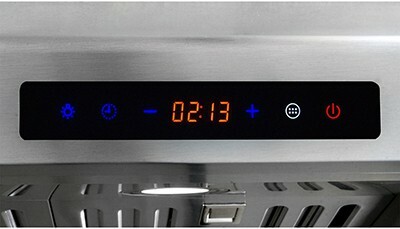 The touch control panel on the AKDY AZ1802 is a nice addition to an already modern range hood. Well, it doesn’t just LOOK great. 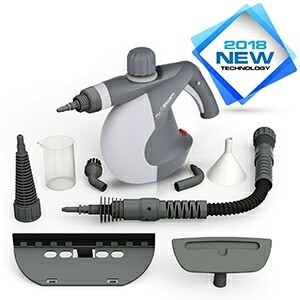 Under the hood you will find dual centrifugal fans, which will quickly remove all the unwanted cooking smells and other pollutants from your kitchen. As with virtually any other range hood, there are some flaws. The LEDs seem relatively dim. If the range hood lighting will be the main source of light in your kitchen, the AKDY AZ1802 might not be the most optimal choice for you. The installation of this under cabinet range hood could prove to be quite hard, because the included documentation isn't too detailed. This installation might also not be a one-man job, as you will have to drill 4 screws through your cabinet base which have to exactly match the holes on top of the range hood. 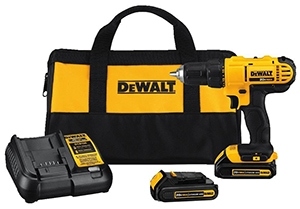 So, be sure to have an extra pair of hands available during for its installation. 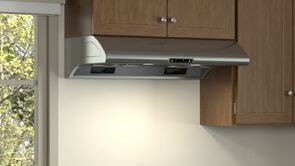 The PLJW 185.30 Under Cabinet range hood has a very sleek, but almost industrial feel to it (which is a good thing). Its slim design and curved edges, combined with the brushed stainless steel make it a stylish addition to any kitchen. We’re glad Proline chose for baffle filters rather than aluminum mesh filters. 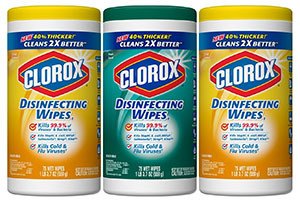 They don’t just look better, they also do a better job in filtering out the grease from the air. These baffle filters are easily removable to be cleaned and are even dishwasher safe. Since the bottom side of the range hood is mostly flat, cleaning this range hood is not an issue. The lack of a touch screen might bug some people more than others. To us, the lack of a touch control panel is somewhat of a missed opportunity. Then again, the buttons on the front do contribute to the industrial feel of the range hood. Although the LED bulbs are a nice addition to this under cabinet range hood, they do seem relatively weak. They lack the power to be the primary source of light in your kitchen. With regards to the noise, some people have found the range hood to be a bit too noisy. For a 600 CFM range hood, we have found it manageable. All in all, this is a great range hood. Each setting is at about 1.25 intervals. grease from air, which gets deposited into dishwasher safe residue cups. This Zephyr range hood doesn't just look like it could actually take off, with its monstrous 850 CFM motor it might actually be able to do so. Although we might be nitpicking, there's a small thing we'd love Zephyr to change in future models: using LED lighting rather than halogen lighting. Other than that, this Zephyr range hood is an amazing piece of machinery. 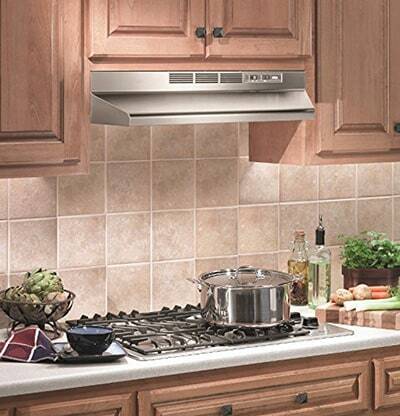 Another Broan in the top 3 under cabinet range hoods! 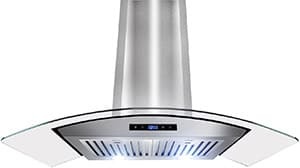 And for a good reason: aside from its ducted brother, there’s probably no range hood which can beat the Broan 413004 when it comes down to the price/quality ratio. 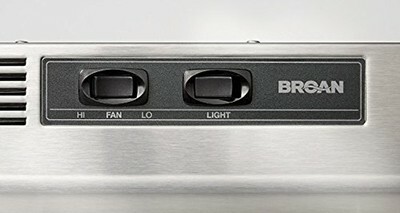 At the moment of writing, the Broan 413004 occupies the #1 position in the range hood category on Amazon, as well as the #19 spot in the general appliance category. 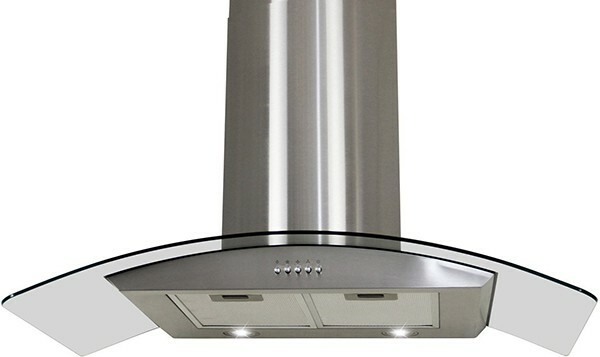 If you’re looking for a simple non-ducted range hood without breaking the bank, choose this one. Broan has equipped this range hood with the bare necessities and nothing else. Does it have some nice fancy extras? Absolutely not. It essentially is just a hood, a fan, a filter and a light bulb. Does it get the job done? Yep. Sadly, this model doesn’t have an option to turn into a ducted range hood. But lucky for us, there’s a ducted version available: Broan 403004. When you get the ducted model, be aware that for some reason, it’s only available with a rectangular 3.25" x 10" top exit. The biggest drawback of both the ducted and the ductless models is that there’s no cover on the bottom. Even though the exposed bottom side is not hideous, it will make sure that the range hood will never be the centerpiece of your kitchen. But, again, with the current price tag it doesn’t pretend to become the focal point of your kitchen. 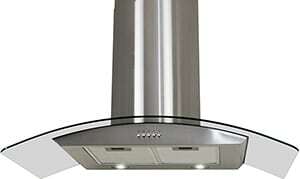 It aims to be a solid range hood without any fancy extra features; and it really is just that. One minor flaw would be the single incandescent light, which can get quite hot. We’d rather have seen a LED, fluorescent or even halogen light. All in all, this might one of the best easy to install, bang-for-your-buck, non-ducted range hoods currently on the market. Range hood is set up for hardwiring. If you want to plug it into an outlet, use this powercord (not included). First of all, we want to commend the company on providing customers with a 10-year warranty on the motors of this XtremeAIR UL10-U30 range hood model. It’s quite rare that manufacturers have a level of trust in their in their products that they're willing to vouch for the quality by putting their money where there mouths are. A nice bonus is that the XtremeAIR UL10-U30 is assembled in the good ol' US of A, which means that its much easier for the manufacturer to send you replacement parts when needed. Secondly, the exterior of the XtremeAIR UL10-U30 not only LOOKS solid, it FEELS solid. Its 1.0 mm thick stainless steel really complements everything else the XtremeAIR UL10-U30 has to offer. Among these great features is its power. 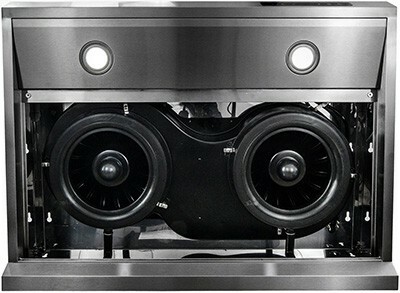 Under the hood, the XtremeAIR UL10-U30 packs a whopping 900 CFM. (If you’re going to get this range hood, be sure to provide makeup air.) The great thing is that even though it’s powerful, it’s relatively quiet for a 900 CFM machine. We're not quite sure how XtremeAir has pulled it off, but they've done a great job in the noise reduction department. All this, of course, comes at a price. A monetary price. Although this under cabinet range hood might not be as expensive as some of the high end chimney range hood models we've come across, it might still put a dent in your wallet. 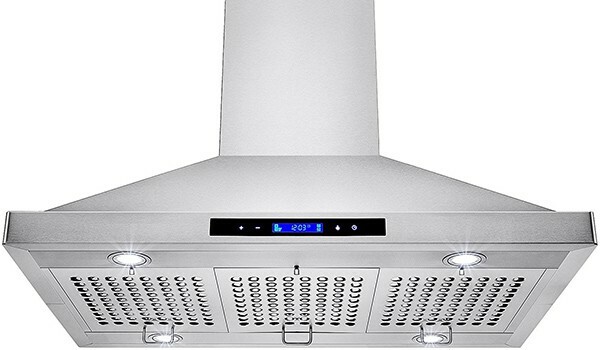 But if you can afford to go for quality, you can't go wrong with the XtremeAIR UL10-U30 under cabinet range hood. Please note that this amount of CFM will require a relatively large duct size. 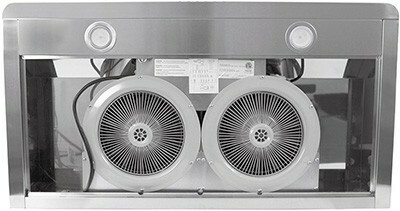 Even though the manual says that to connect the XtremeAIR UL10-U30 to a duct of at least 6 inches, XtremeAIR recommends connecting it to an 8 inch duct.